Laurence is the Director for AI Industry Innovation at AI.SG, and is driving the adoption of AI by the Singapore ecosystem through the 100 Experiments programme and outreach activities. A serial technoprenuer, Laurence have had several successful exits, the latest being Revolution Analytics where he was the General Manager for Asia Pacific. 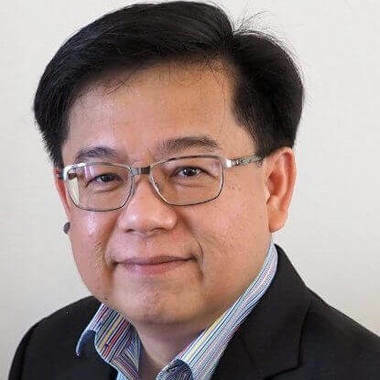 He was responsible for Revolution's business in Asia and its Centre of Excellence for Analytics in Singapore in partnership with the Infocomm Development Authority of Singapore (IDA). He also conceptualized and ran Revolution's development team responsible for putting Revolution R in the Cloud. Revolution was acquired by Microsoft in 2015. Laurence graduated from National University of Singapore (NUS) with First Class Honours in Engineering, and holds a Masters in Knowledge Engineering from NUS.